Hello readers! If you've been following my blog for any length of time, you'll know that I am a fan of eclectic music, knitting, and all things cute! Recently I discovered The Alpaca's band on YouTube which features an adorable band of knitted alpacas. The group is created by Mario Torres, a Peruvian living and making music in Japan, and the music features an interesting blend of rock, pop, and pan-flutes, which I love! Enjoy! If you have an Instagram account you may have seen that Caitlin Hunter (aka Boyland Knitworks) and Andrea Mowry (aka dreareneeknits) started the hatch tags #TODAYSKNITOUTFIT and #TODAYSKNITOUTFITSPREAD to help inspire knitters with styling ideas on how to wear their knits and encourage knitters to wear their knitwear more often. I'm currently knitting on Andrea Mowry's Weekender Sweater Pattern in a blue and gray marled yarn. 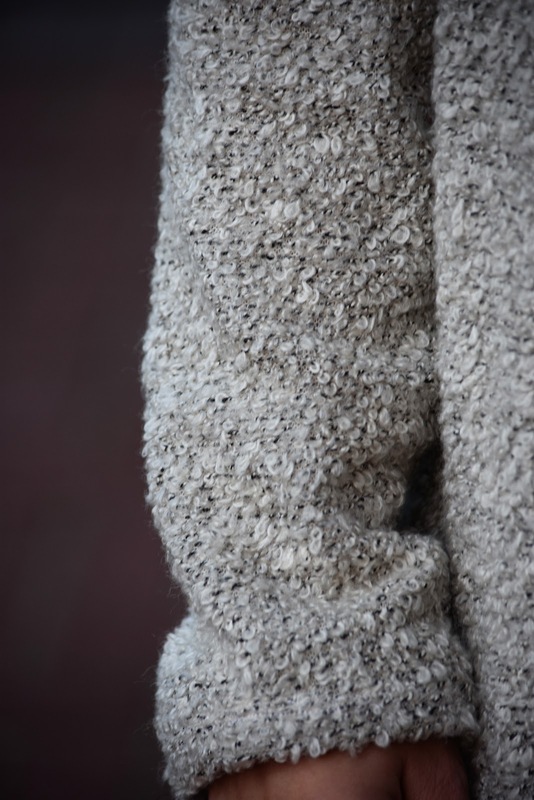 As have been knitting it, I've been thinking about the different ways that I hope to style the sweater when it's finished, which has helped motivate me to keep on knitting even while on Sleeve Island, and I thought I would share my ideas with you. Spring is nearly here which means spring cleaning season is upon us! Lately, I've been sewing and knitting a lot more, but I still find that I still feel like I have nothing to wear and I've been trying to figure out a way to create clothing that feels more 'me'. Then, I recently found the hashtag #sewyourkibbe on Instagram and thought this might help me with my makes. The Sew Your Kibbe Challenge is a self-analysis wardrobe challenge created by Doctor T Designs. The concept of the challenge is to analyze yourself by taking the Kibbe quiz, which is based on David Kibbe's 13 Body Types Theory from his book "Metamorphosis", in order to create a wardrobe that's best suited to you. This theory takes into consideration the shape and size of your body, hands, and face to suggest what style of dress will best suit you. If you've ever analyzed yourself into the standardized body shapes (hourglass, pear, apple, rectangle, inverted triangle), then this will appear very similar, but taken up a notch. In past figure analysis I've identified as a pear shape verging on an hourglass shape, but according to the Kibbe quiz, I fall into the Soft Gamine/ Theatrical Romantic categories. To put it another way, I'm somewhere between cute and bombshell. Kibbe's clothing recommendations for both Soft Gamines & Theatrical Romantics recommend curved, rounded shaped clothing with waist emphasis using soft drapey fabrics, and avoiding symmetrical/ geometric shapes and stiff fabrics. Soft Gamines are recommended to add bold color or quirky patterns to their clothes, whereas Theatrical Romantics are recommended to add small details such as ruffles to their clothes for added softness. After reading about the recommended clothing suggestions, I realized that I already have a few clothing items in my wardrobe that follow these recommendations. I had always thought of my personal style as kind of bold, edgy, and quirky with a little bit of a retro vibe and I am drawn to all kinds of prints. 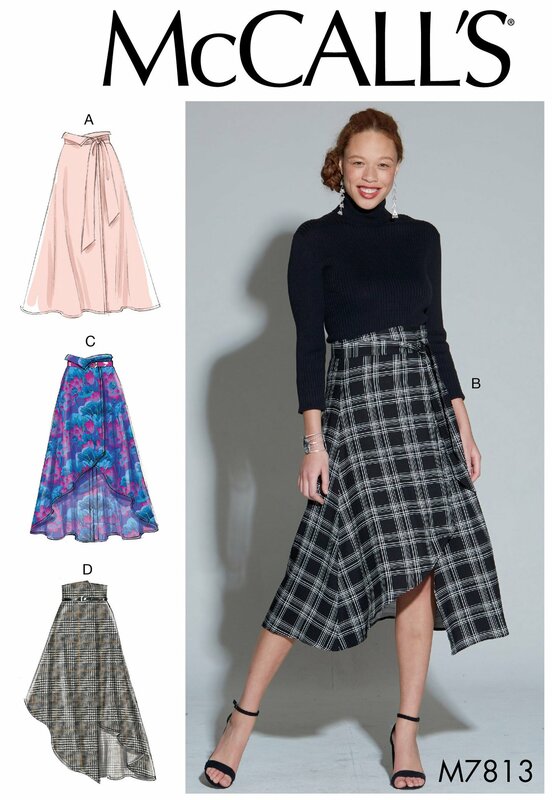 I felt hesitant to start adding a lot of ruffles to my wardrobe, and I'm not sure if I'm sold on the idea of wearing tulip shaped skirts. According to Kibbe, jackets that are short, shapely and nipped in at the waist are best suited to my body type. Dresses should be shaped at the waist with added gathers, shirring, sparkles, applique, etc. 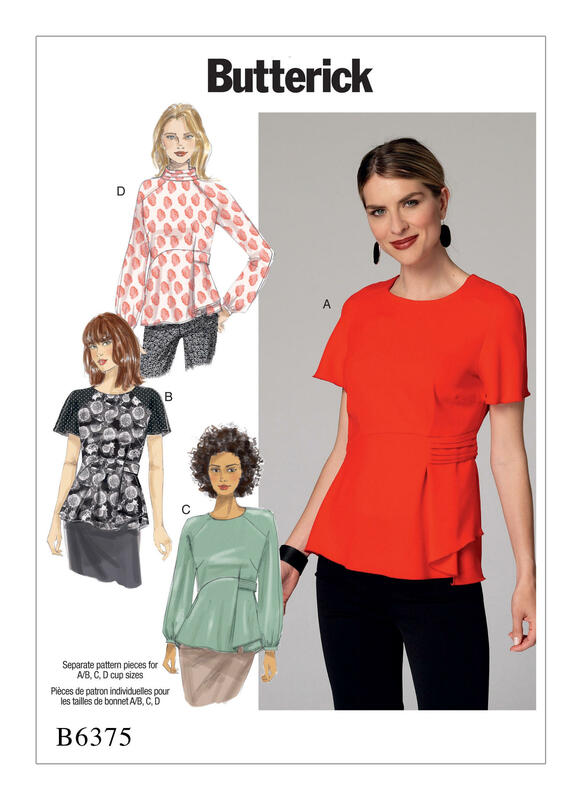 Look for sharp shoulder definition and asymmetrical hemlines. Short skirts should be tapered and long skirts should be flared. Look for short skirts tapered at the knee and asymmetrical hemlines. Pants should be soft, shaped, and drapey. Cropped styles are excellent. 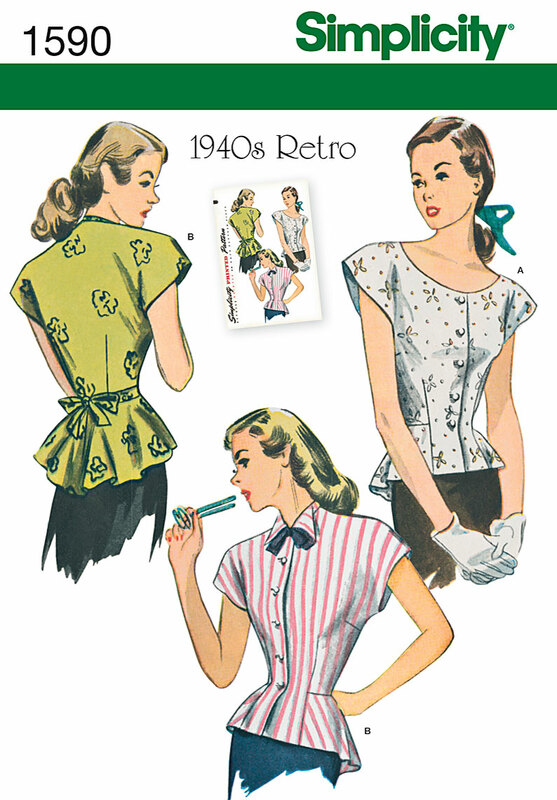 Blouses should be soft, drapey and silky but fitted at the neck and cuff with bodice detail. Have you analysed your style with the Kibbe quiz? Do you have any pattern recommendations that you think might suit my style? Let me know in the comments below. I've had my eye on making a Blackwood Cardigan by Helen's Closet since the pattern was released and thought this sweater knit leopard print fabric that I've had in my stash for ages (since the dawn of my attempts at sewing) would be perfect; however I had hesitated after having a few nasty experiences with some stretch knits being fiddly and eaten by my machine. But after some recent sewing successes and with the start of the new year, I felt inspired to take on the challenge. I stitched up View A in a size Large based on my bust measurement with no alterations. I followed along with the pattern instructions and the Blackwood Sewalong from the Helen's Closet blog and it was a breeze! There may be several more Blackwood cardigans in my future. At the beginning of 2018, I declared that I wanted to get back into sewing and to motivate that effort I decided to take the #sewmystyle2018 challenge which I talked about in an earlier post. 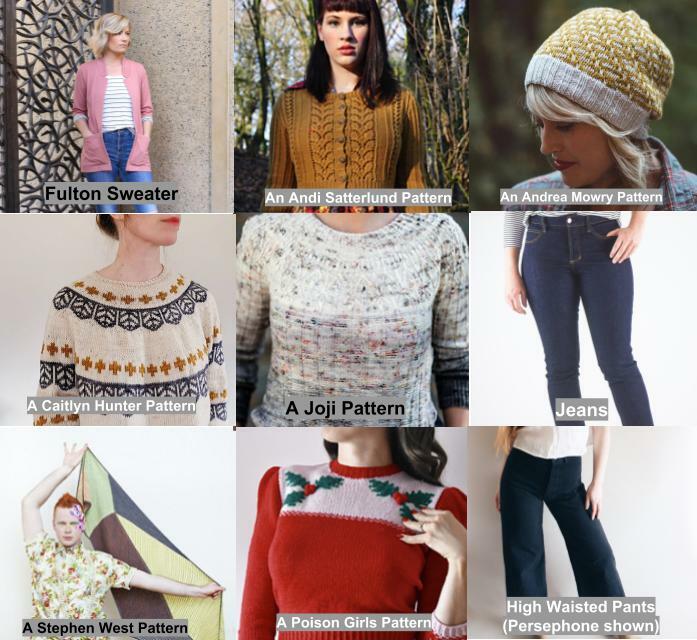 While I didn't end up making all of the Sew My Style patterns each month, I totally upped my sewing game and make 7 out of the 12 patterns (including 3 versions of one of the featured patterns) and I learned a LOT. 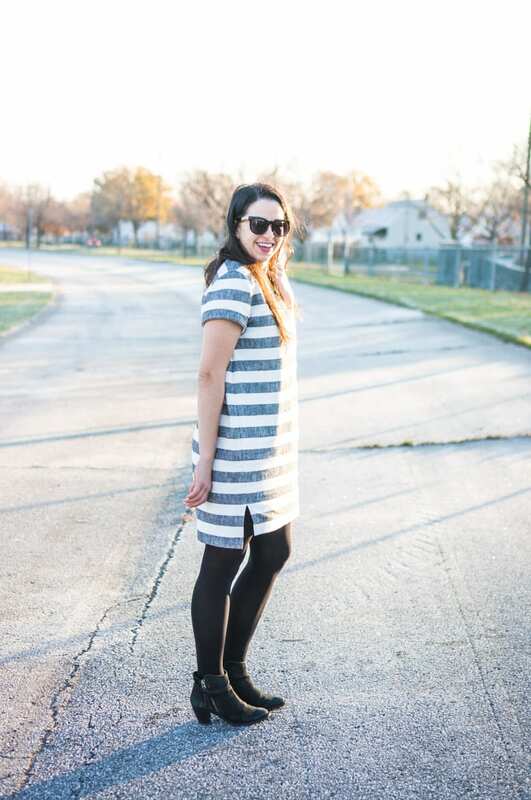 I was hesitant about the Sew My Style January selection, so I didn't get started until February when I was happy to see a beginner friendly cardigan pattern. I found the perfect reversible ponte roma fabric from Stylemaker Fabrics and sewed this thing up in a few hours. It gave me the confidence I needed to go on and it's one of my most worn and most loved makes. I saw Heather Lou post a photo of herself in a Kalle Shirtdress and decided that I had to have one despite the fact that I rarely wear dresses. I used a jade colored Tencel Twill from Stylemaker Fabrics and graded my sizing from an 8 at the top to a 12 on the bottom. I've worn this out a few times and gotten compliments. I typically wear a lot of button-up shirts to work, so I decided to stitch up this floral version using Telio rayon poplin from Fabric.com to wear in the spring. It's not perfect, but I like it. I loved my floral Kalle so much that I wanted to try a cotton version in a bolder print. This time I used Telio cotton fabric from Fabric.com. I first wore this out to a WWE Smackdown tournament with my husband and it was perfect! 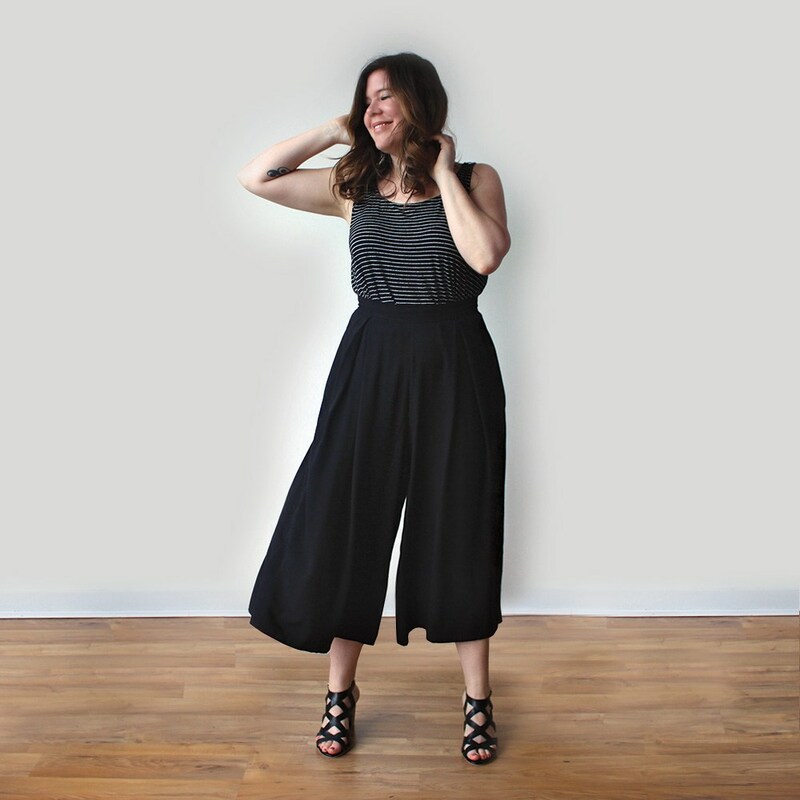 I originally thought I would try the Marigold jumpsuit pattern, but thought the trousers would get more wear. I'm not sure if the print is too much or if the Telio poplin rayon fabric is just too light, but I've mostly just worn these around the house. I didn't really need a robe in my wardrobe, so I followed the cropped Suki jacket hack on the Helen's Closet blog. Even though it came out okay, I've rarely worn it. Maybe it'll fit in better with my spring outfits. I was pretty intimidated to sew up my own pants, but when Lladybird & Untangling Knots featured the Lander Shorts in their annual summer make along in the same month that it was featured as the Sew My Style pattern, I had to make them and it was easier than it looked. Unfortunately, the summer was pretty mild so I didn't get to wear these as much as I wanted. I'm eager to make some Lander Pants in 2019. The Fringe Dress seems to be one of those patterns that look good on a wide variety of body shapes. It's not perfect, but I'm pleased with how it came together. I'm hoping I'll wear it out more when the weather warms up. I wasn't sure that I needed another tote bag, but Klum House happens to be housed in my hometown, and when I saw that they were offering a Portsmith Tote 1-day workshop I signed myself up. I used burgundy and black waxed canvas with black leather straps and hardware furnished by Klum House. It looks super profesh! 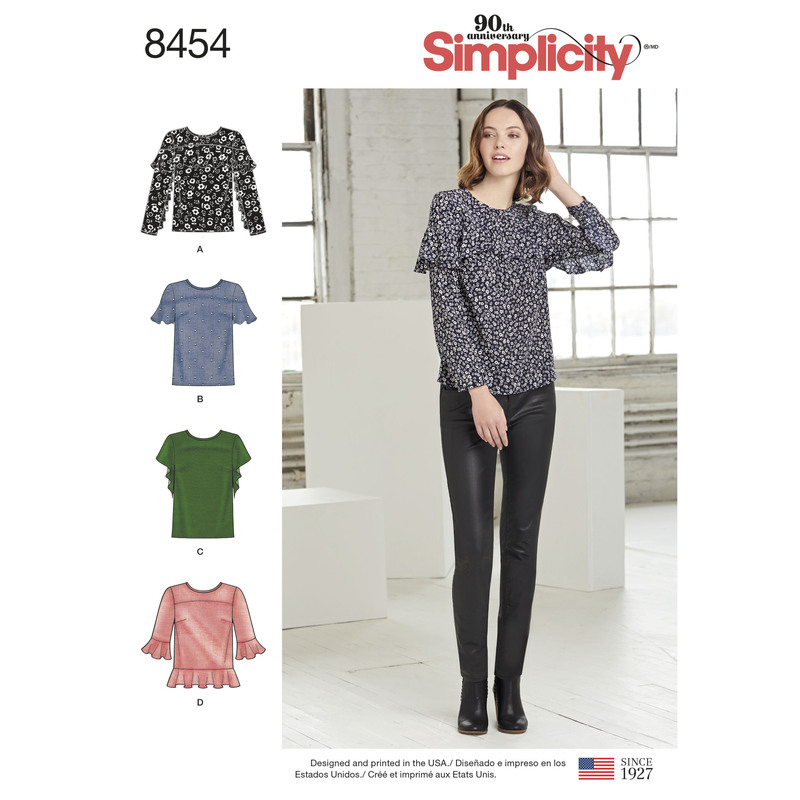 Did you participate in the #2018SewMyStyle challenge? Will you be participating in 2019? Let me know in the comments below. The cool, wet dreary days at the end of 2018 had me craving a simple warm and cozy make that was classy enough to wear to work but snugly enough that I'd want to wear it on my days off. 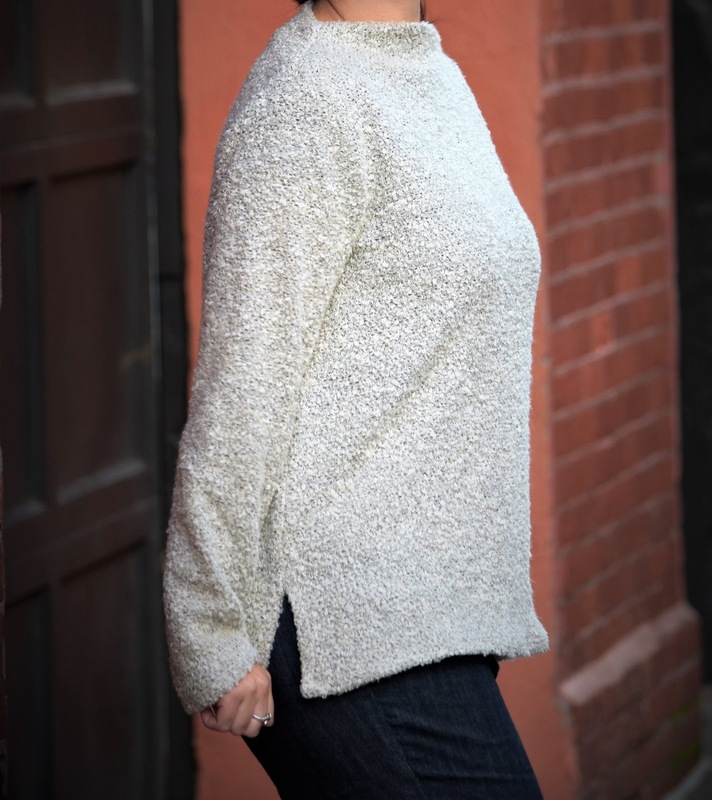 I had seen a lot of great versions of the Toaster Sweater by Sew House Seven and was recently able to snag just the right amount of a black and white sweater knit boucle fabric remnant from Style Maker fabrics to make this sweater. The instructions were easy to follow and I stitched up a size Large with an added 2 inches of length to the front and back body pieces. I'm not sure if this is the most flattering sweater for my pear/ hourglass shaped figure, but it is definitely a cozy make! I feel as snug as a bug in a rug! 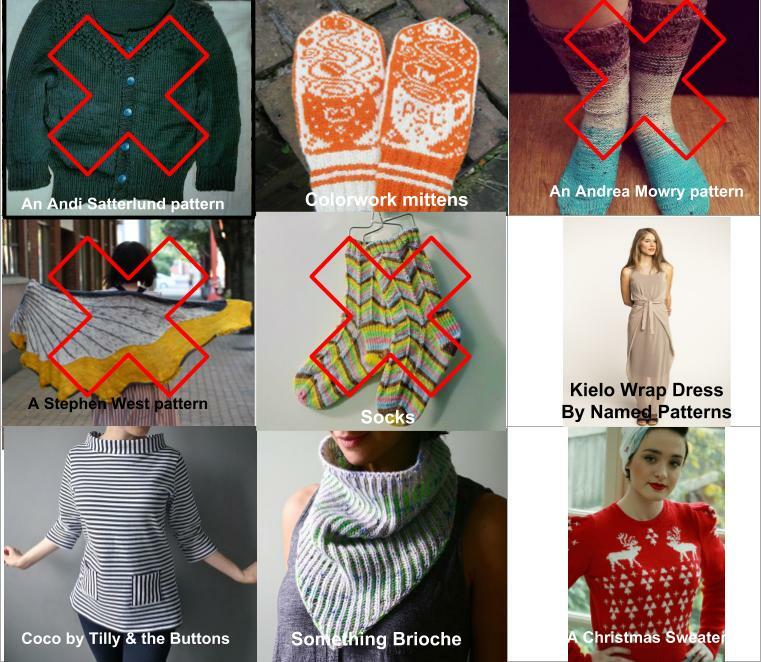 I had big plans for my 2018 Make Nine to try new techniques and new garments, and while I made a lot of things in 2018, I only made 4 out of 9 items from my Make Nine List. 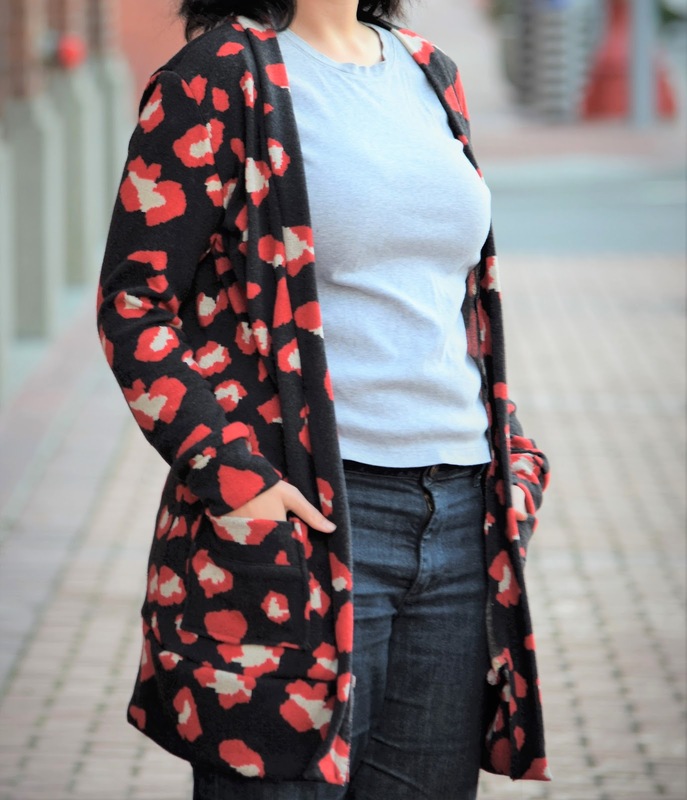 I originally intended to make the cardigan as part of an Andi Satterlund pattern knit along, but life and my day job got in the way and I ended up finishing it on my own time. I'm pleased with how it turned out and I've worn it several times. In the winter of 2017 it seemed like everyone was making colorwork mittens. But when everyone else moved on to shiny new patterns, I did too. When I originally made my Make Nine I had grand ideas to make a What the Fade or Find yoru Fade Shawl. But over the Thanksgiving holiday Andrea Mowry hosted the FlouritgivingKAL and I just so happened to have the perfect yarn and the pattern already in my stash. It was meant to be. I have long been a fan of Stephen West more vibrant patterns, but had not yet tackled one. At the beginning of 2018 Kristy Glass Knits hosted a DoodlerKAL and it was just the motivation I needed to give it a go. In the spring of 2018 I decided to try to knit some socks. I knit a pair of socks for my husband that are just a touch too slouchy, and some oversize Jaywalker socks which are fun to wear around the house before I perfected my sock recipe. I will definitely be knitting more socks in 2019. After knitting up all of my Christmas gift knits, I started working on my Julgran sweater at the beginning of December. I nearly finished this thing in time for Christmas, but I ran out of yarn before I could finish the second sleeve. Watch this space. I seemed to complete the makes that I wasn't as specific on, which gave me a bit more wiggle room to deviate some from my original ideas. I also want to be more considerate of how my makes will fit in with the garments that I already have in my closet. Did you create a 2018 Make Nine List? If so, how many did you make on your list? Slow Fashion October or Slowtober is a yearly social media conversation piloted by Karen Templer, creator of the Fringe Field Bags that are ever so popular in the knitting world, in 2015. The idea was to open up a dialogue about how fast fashion has been contributing harm to our environment, and for use crafty folks (knitters, crocheters and sewists alike) to be more considerate of where our clothes (and fabrics) come from (see the Fringe Association blog here). For Slowtober 2018 Templer created a series of Action Items and Discussion Prompts to move the conversation along. Some of the questions are loosely based on Seamwork/ Colette pattern's Sew My Style series, but put it's own spin on it. 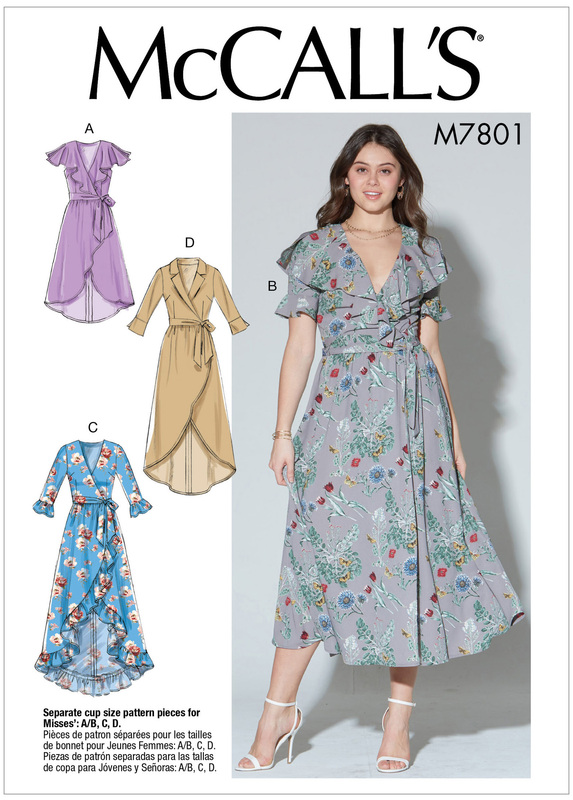 Since the temperatures have begun to feel more fall-like and I've started to switch out my warm weather clothes for heavier fabrics, I thought I'd take a look at the action items and prompts to help me evaluate what stays and what goes. First I gave my Personal Style Pinterest moodboard an overhaul. Most of my personal style pins are primarily neutral in color (black, white, beige, or gray) with a pop of bright color. I also appear to be a fan of prints such as animal print and polka dots. 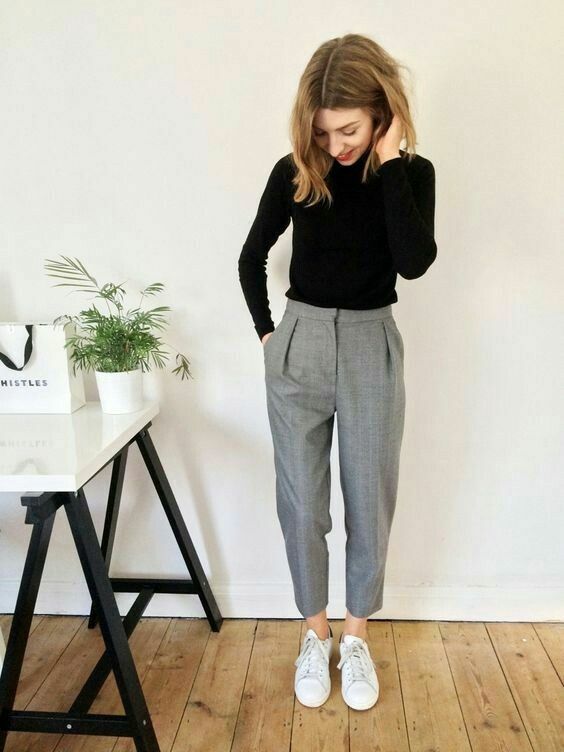 When I'm looking for wardrobe inspiration I frequently turn to Instagram, Pinterest, and what's trending on the High Street. 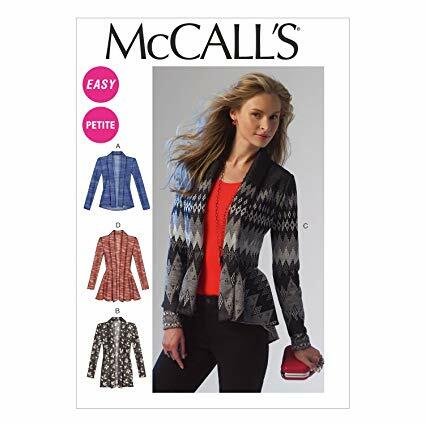 I often find that I want to immediately make anything that Kate of The Fold Line, Heather Lou of Closet Case Patterns or Rachel from the Stitch Sisters makes, and I love edgy style that UK television presenter, Emma Willis has. Check back to see if I can move closer to my ideal wardrobe as my Slowtober progresses. How have I not shared this song before!? This week I'm listening to "Likey" by the Kpop girl group, Twice, and this song is pure pop fluff.